Only one week left to see a $1 movie at Regal Cinemas in Trussville! Each week’s movies will BOTH be shown on Tuesday and Wednesday at 10am both days. Regal Cinemas (Trussville) $1 Summer Movies | 3 Weeks Left! There is still some time left to enjoy $1 movies at Regal Cinemas in Trussville! Need a family fun day out before summer is over? Check out these Groupon deals! Get Two Games of Bowling and Shoe Rental for Two for $15 OR Two Games of Bowling and Shoe Rental for Four for $30! Purchase on July 13th and it’s $14 for the 2 option or $28 for the 4!! Shoe rental for 2 is $10 so this is a super steal! Promotional value expires 120 days after purchase. Amount paid never expires. Not valid Friday or Saturday after 9pm. May not be combined with any other discounts or special events. Not valid for corporate events/group parties. Limit 1 per person, may buy 1 additional as gift(s). Purchase on July 13 and it’s just $9.00! Each pass includes a $5 credit for arcade games and gives its holder admission to two activities so they can take a few laps around the go-kart course, blast at their friends in laser tag, hone their putt in mini golf, or romp around the indoor playground. Only children aged 10 and younger may use the indoor playground or jumpies. You can purchase TWO passes per Groupon account. Voucher expires 120 days after purchase so have a plan to use it! Two 60-Minute Jump Passes for Two at Sky Zone (Up to 48% Off). Two Options Available. Sky Zone, Hoover, 60 minute Jump Passes for two as low as $15.50. Be sure to read the fine print. Options starting at $15.50. Be sure to read the fine print. Groupon prices for Off the Wall options start at $14 on July 13th only. To get this deal, you will have to sign up with Groupon if you haven’t already (don’t worry, it’s free to sign up with no obligations to purchase anything!) and subscribe to deals for Birmingham, AL. Groupon is a daily deal site that sends you an email once a day with GREAT savings on things to do locally! You purchase a “voucher” for a service, activity, or goods/merchandise at a reduced price and redeem it at the retailer for the item or service! Find Today’s Daily Deal on the Best in Birmingham! 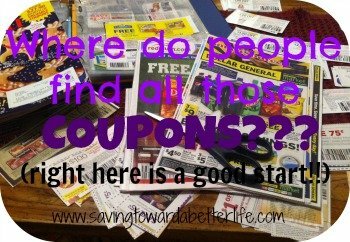 Daily deal sites are a good way to get a great deal on just about anything! But the deep discounts are only available for a limited amount of time. You have to act fast if you want it! Go here to find a location near you! Regal Cinemas in Trussville is a participating theater! They will show two different movies each week for 14 weeks this year! That’s 5 weeks longer than usual! Each week’s movies will BOTH be shown on Tuesday and Wednesday at 10am both days. Sign the kids up for the Kids Bowl Free summer program! Spare Time in Trussville is participating in the Kids Bowl Free program so after you sign up the kids will get TWO FREE GAMES EVERY DAY all summer! Shoe rental not included. Children MUST be registered for the program to get free games. You can also sign up teens and adults for a Family pass for $29.95. Up to 4 people get two games every day during the summer with the bowling pass. Shoe rental also not included. 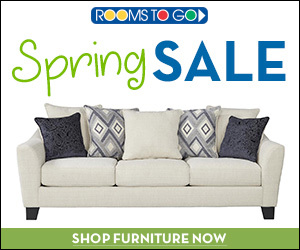 Use code SPRING17 to save 17% ($5.09) off the Family Pass! 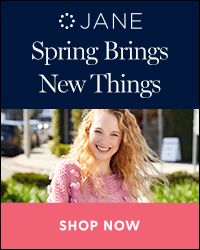 Code valid through 3/25/18. Try code IPHONE10 to save 10% ($3) off the Family Pass! I just ordered mine tonight and the code worked! Regal Cinemas in Trussville starts their $1 movies on June 6, 2017. A Day Out With Thomas 2017 Calera, AL, May 12-14 & 20-21 | Tickets Still Available! Coming to The Heart of Dixie Railroad Museum in Calera, AL – May 12-14 & 20-21, 2017. All aboard! Thomas the Tank Engine invites little engineers to join him for a day of friendship and family fun at Day Out with Thomas: The Friendship Tour 2017. Children everywhere can spend a day with their friend Thomas when the #1 Engine pulls into Calera, Alabama on May 12-14 & 20-21, 2017. 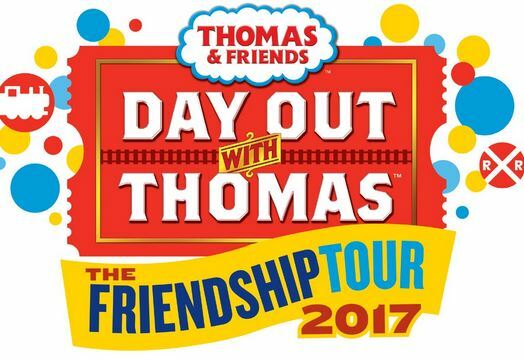 Day Out with Thomas: The Friendship Tour 2017 is presented by Mattel. Day Out with Thomas is a fun-filled event that provides children of all ages the opportunity to climb aboard and take a ride with Thomas as well as participate in Thomas & Friends™ themed activities. The tour, now in its 22nd year, will make 42 stops across the U.S. and Canada, and is expected to welcome nearly one million passengers in 2017. For two back-to-back weekends, little engineers and their families are invited to take a 25-minute ride on their favorite engine, meet Sir Topham Hatt, Controller of the Railway and enjoy a day of Thomas & Friends fun. For the 21st consecutive year, Thomas The Tank Engine returns to the Heart of Dixie Railroad Museum, for two back-to-back weekends in May. The day offers plenty of fun outside the ride aboard Thomas including putt-putt golf, a petting zoo, jumpstation, bubble station, maze, sandbox and more. Did you know that Thomas the Train TALKS at these events? Tickets are on sale now and can be purchased at www.ticketweb.com/dowt or by calling toll-free 866.468.7630. For more information and directions, contact The Heart of Dixie Railroad Museum at 205-668-3435 or visit http://www.hodrrm.org/. Need a family fun day out? Grab this deal while it’s around again! SAVE with this Groupon! Typically the Combo Pass is $10 on Groupon but thru 2/20 you can save an extra $1 – getting the $19.50 pass for just $9! Already a Groupon user? Click here to go straight to this Groupon to purchase it today!